Site: "Montée de Tonnerre" is located south-east of the Grand Cru area. 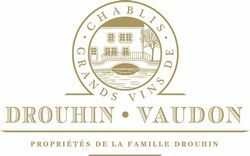 "Powerful and mineral wine, typical of Chablis. Brilliant yellow colour. The aromas are reminiscent of citrus as well as asparagus or artichoke. Clear-cut impression on the palate. Elegant and complex flavours. Nice balance between texture, fruitiness and mineral sensations". The wines reveal a good structure with ripe aromas but also a nice acidity level. They combine minerality and fruit. 2013 is a classic and harmonious vintage.